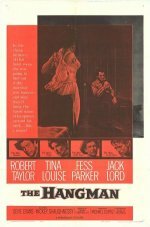 The writer of Stagecoach and one of Hollywood's most reliable directors team up for a psychological western in which Robert Taylor plays a marshal with a reputation for stringing people up. Jack Lord, who played Felix Leiter in Dr No, before spending years on Hawaii Five-O, is Taylor's current quarry, though he's apparently gone straight and has a family. Then Taylor gets a lesson in humanity from local sheriff Fess Parker (TV's Davy Crockett). Those looking for bursts of action and spectacular scenery should search elsewhere but others might appreciate this low-key study of a psychopathic peace officer.